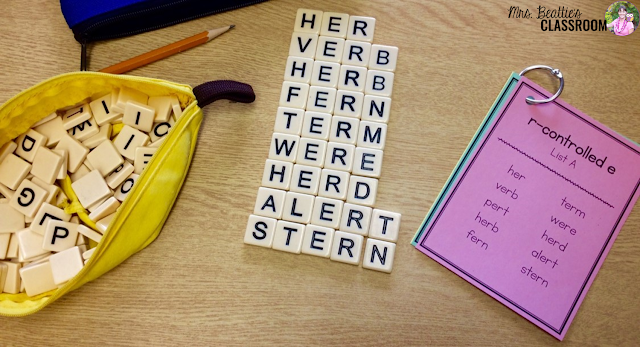 Word work is an important component of a primary literacy program, and when the needs of your students vary from early readers to very accomplished readers working beyond grade level, the task of preparing activities can be daunting every week. 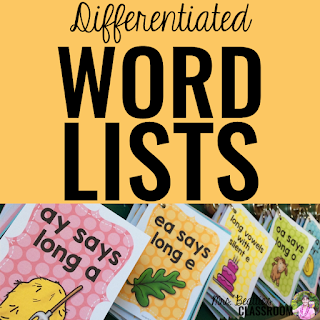 I've got some suggestions for how you can differentiate your word work component without pulling your hair out! Differentiation is no easy task. Every classroom I've ever taught in has a range of abilities that spans a minimum of four grade levels. From time to time that gap is even wider! In my classroom I generally have three groups. Is this perfect? No. But in the small time that I have for word work activities, and because I have limited planning time (and a life outside of school! ), sometimes that has to be enough. I begin the school year with a Words Their Way spelling assessment to get a handle on where my students fall on the continuum. From there, I can assign them to one of the three lists: List A, List B or List C.
Please don't feel like you need to give a paper-and-pencil assessment every week to determine which list will be best for each student. You are a well-educated professional. You know your kids better than anyone. Trust your instincts. I can't think of a single test that will make a more accurate placement decision than you will. 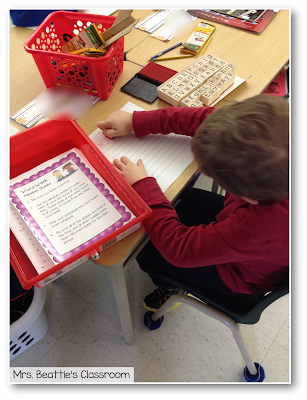 Back to word lists... my lists are organized by spelling strategy, although they could be organized by student as well. I have multiple sets of the three lists attached with a small binder ring and these hang on magnetic hooks on my chalkboard. (I've also seen utility boards and hooks used for this purpose.) I don't require a set per student since my students are not all working on word work at the same time - this is the beauty of The Daily 5 and especially helpful when you have limited resources! 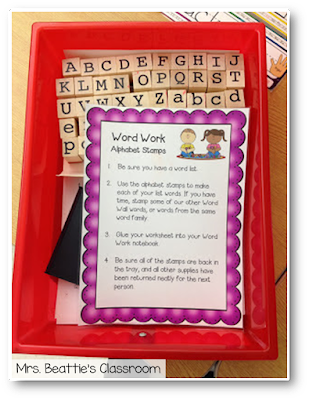 Each week, I introduce the new word work pattern and we complete whole-group activities around them before my students head off to Daily 5. 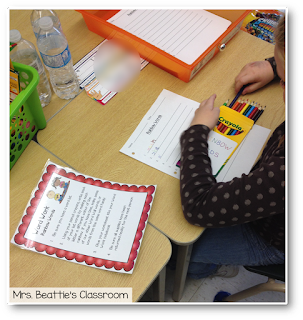 During word work, my students will grab the lists and then activities begin. The actual centers that I provide to my students can be used with any list of words, making them great for differentiating in a discreet way. I include many options and give my students their choice over which center they work on. The power of choice is HUGE!! When students have control over which activities they use, engagement increases! I've seen this year after year! My students don't ever feel centered out for working on something different from their peers because I make every list look just like the next, and everyone is successful with the activities I've provided since they are simple enough that detailed instructions are not required. I grabbed these stamps at Michaels. They weren't cheap, but I did use a 40% off coupon! These days you can find them in many more stores, so keep your eyes open! The students have been keen to use them. I understand why... I would have loved using these at school when I was a kid! I inherited these when I moved to my primary classroom. I have no idea where they came from, or where they can be purchased, but they are great! Did you notice the blur to the second photo? That's because this student was so engaged with these that I couldn't catch him in a still position!! I knew this would be one of the most popular choices, and I was right! Typically, it is the first activity to leave the drawer! Is keeping students engaged an issue? No! That power of choice really does provide the interest and drive that keeps students going. Are students actually completing the activities while I'm working with other students? Yes! Be sure to check out the linked post at the bottom of this page. 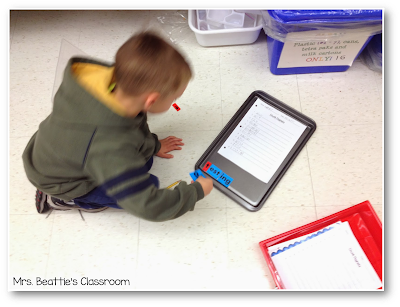 In it, I explain all about how I keep my students accountable for their work during independent centers. Does this take a lot of time to prepare each week? No way! Once the centers are set up once they are good to go. I have four sets of word lists on each letter-sized page, so each week I print 4 pages - yes, you read that right - attach them with the rings and they are ready for use. I save these from year to year and only occasionally have to replace a set. I do NOT laminate them, although you certainly could. I get many questions about storage. I got my centers organized in this great storage rack that I inherited from another teacher who was purging her classroom! Score! :) It is perfect for these! I also get many questions about how I assess my students' word work. What I don't do is give my students tests. They are not a good use of my time and do not really tell me anything about my students as spellers. 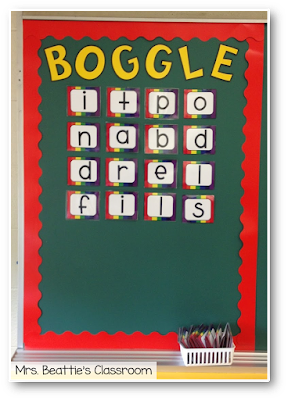 Rather, I look for my students to use the spelling patterns they've learned about and worked with during their daily writing. It is that transfer from practice to authentic, everyday use that matters to me. That's a true measure of success. If my students struggle with words they've already practiced, we spend time adding them to their personal dictionary/word book, and I encourage them to access the word lists throughout the day during other content writing. My students are SO engaged in all parts of The Daily 5 program, but Word Work is the favorite! They love it, but I love it more! 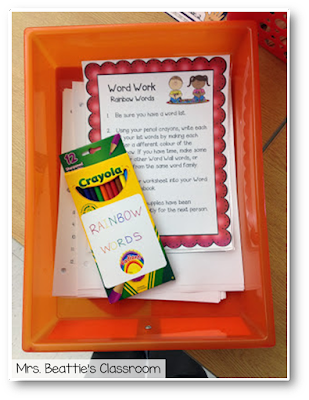 Need word lists for use with YOUR word work centers? Look no further! I have you covered, in a BIG way!! This 900+ page resource is easily assembled either by spelling pattern OR by student and are COMPLETELY EDITABLE! There is now a single-page printing option included! 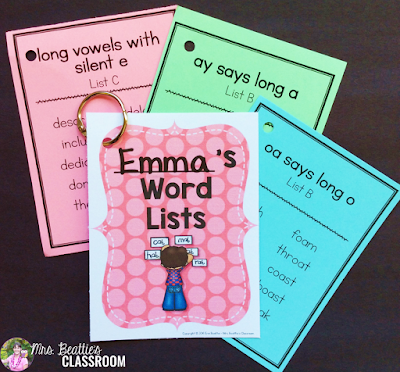 These are perfect for small-group or homeschool use! Are YOU using The Daily 5 and CAFE in your classroom? What does your word work look like? I would love to hear about how it is going - leave me a message at the end of this post! Want more great teaching resources like this one to use in your classroom? Love your centers! I was curious... do your students independently remove and return these drawers..? Might seem like an odd question.. I am only wondering because I have the exact same drawer cart, and I am concerned to use it for center work because it can be difficult to put put the drawer back in once it is removed. Especially for my kindergarteners, maybe you have a bit older students..? Hi! Thanks for stopping by! So far, so good. 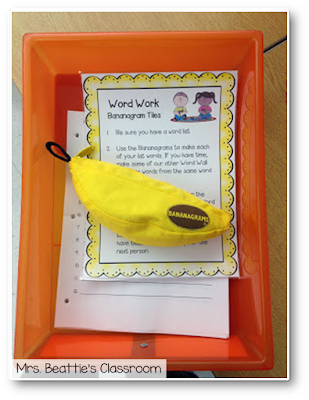 The kids have been able to remove the drawers, take them to their chosen work area, and return them independently. A couple of students have had a little trouble putting those drawers back in, but they are quick to help each other out! :) I do teach 2nd and 3rd grades though, so they are a little older than your little ones. I let my 1st graders return the drawers. I teach them how to do it properly. I had a block of 15 minutes where I demonstrated how to do it. First, I did it the right way and wrong way. Then, I had a student show me the right and wrong way. Students provided feedback on how to improve. Then I took out all of my drawers and had each student put a box away. This taught my students how to be patient and help each other. I do this for my math centers. Thank you SO much for pointing that out! My fangate host seems to have updated their platform since I posted the last freebie, and while I can see them in my set-up screen you're right - they are not appearing on my page. :( I am out of town, but hoping that I can have them up and running later today. If you're following my Facebook page I will post an update when they are working again! I want to be in our class! Everything looks so FUN! Thanks for these great ideas! Hey Erin! I have this exact cart and I need to put it too better use! Love your idea! Just curious if you have the labels available anywhere? Thanks for stopping by! I do have labels available! 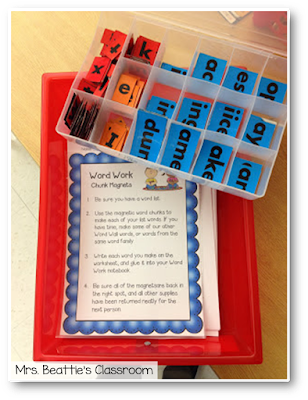 They are included in my word work centers package. You can grab them by clicking the Word Work Centers image at the bottom of the post. What are the drawer dimensions? Most of the drawer carts have shallow drawers? Love your centers! Any idea where to purchase word chunk magnets like you have? I haven't been able to find them online, but they look super cool! Hi Erin! 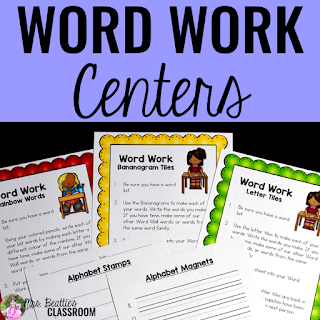 Do you use these centers for 2nd grade? I am starting 2nd grade this year from teaching 5th. I'm trying to find new grade appropriate centers for the 2nd graders. Hi! You have such wonderful resources. I love your stamina and 3 ways to read a book anchor chart! Is it possible to send me the link for both those charts!? I printed them in the beginning of the school year and would love a fresh copy. Thanks so much! Thanks so much for the lovely complement! Unfortunately, I am unable to share the posters any longer. The 2 Sisters, who created The Daily 5 program, have changed their position on sharing freebies, so to do so would be copyright infringement and breaking the law. The magnet chunks come from Lakeshore. Great to know, Stephanie! Thank you! Last year I managed to get your freebies of stamina, Ipick and 3 ways to read a book. Is it possible to get these again, as I have moved schools and do not have the digital copy. I bought both the word cards and the word work centers. They have made my life so much simpler. I set it up very similar to how you have and I love it!! You said you introduce the pattern to the whole class-so are the lists differentiated but based on the same word family? Looking to differentiate more. 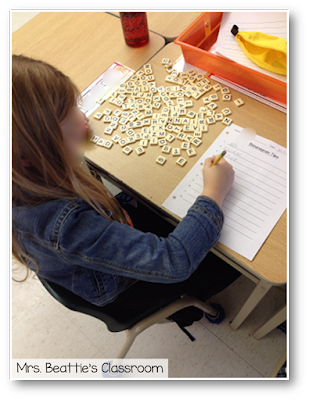 I use WTW for assessment and groupings and I already do similar activities, rubber stamps and rainbow words, etc but needing to find out more about your patterns on cards with rings, right now we do a pattern, so this week it was long e and last week it was short e (I teach grade 3). So I always just have one list with the words that follow the pattern. But how do you do this ...you seem to have a set of cards for each patters. 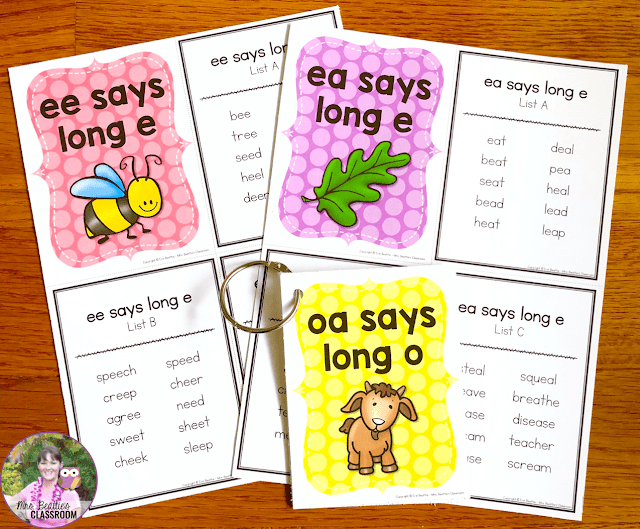 So let's take ee/ea for example, so you would have 3 or 4 cards with simplier words on some ? 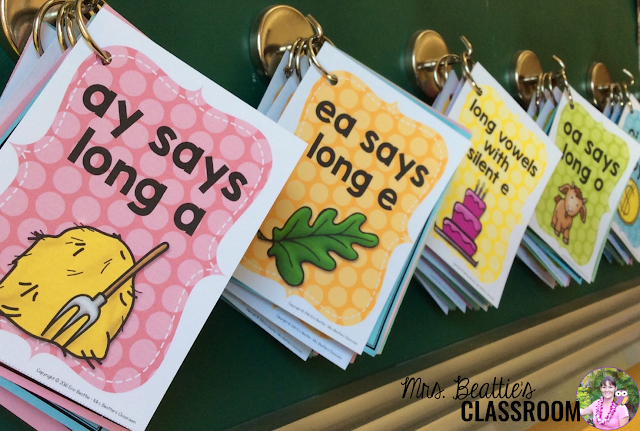 Feel free to email me at questions@mrsbeattiesclassroom any time! I don't necessarily use any one pacing guide to drive my instruction, but rather let the strengths and needs of my students be my guide. 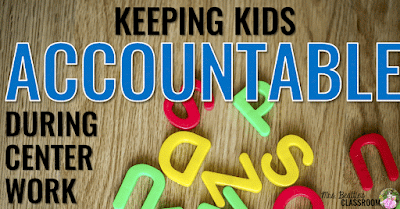 As I indicate in this post, I begin with the Words Their Way assessment, which tells me a great deal about what my students already know, and where the gaps are. This is what I use when I am trying to determine which lists to introduce next.